When looking to invest in Winnipeg commercial real estate, you’re going to be bombarded with terms you’ve never heard about, and this can be quite confusing for a first time buyer. We’ve compiled a list of these terms and their meanings, to make the process a little easier for you. A right of refusal clause means that your landlord must offer you additional space to lease before they are allowed to offer it to the public. This can be really beneficial to the growth of your business in the long run, as it gives you an opportunity to lease space in a popular building. This clause is most common when leasing an entire building. Option to Purchase means you are entitled to information on how you can purchase the building you are leasing. Read it carefully as it should outline the terms you need to meet in order to be eligible to buy the building, such as the price you would pay. This term is more applicable if you are not leasing the entire building, as Usable Square Footage is the space that you are actually occupying within the building. Rental square footage is the amount of square footage you share with other tenants, on top of the usable square footage already included in your lease. This applies to areas such as bathrooms located in the hallway of the building, reception areas, fitness centers, elevators and eating areas. This is the number of spots that are reserved for you and your employees. You take the rentable square footage of your space and then divide it by the number of parking spots. This one is important when purchasing winnipeg commercial real estate, as you need to know how many spots your employees have, and where they can park. There are many things first time buyers need to know when purchasing or leasing winnipeg commercial real estate. For more information contact RE/MAX professionals Commercial today! 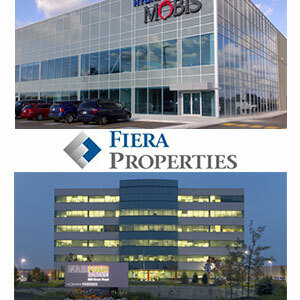 Fiera Capital Corp. unit Fiera Properties Ltd. is launching a new, five-year closed end investment fund designed to capitalize on the rapid and seemingly unstoppable growth of the Greater Toronto Area. The firm’s new GTA Opportunity Fund, currently with committed capital of $55 million after its first closing in July 2016, intends to invest in well-located, value-add and development projects through a joint-venture partnership strategy. The fund is currently raising additional investor capital for its second closing, scheduled for late 2016. “This is focused on rising demand for space in the core urban markets, and it is following along the trends of urban intensification, transit-oriented development, live-work-play, walkability scores,” said Peter Cuthbert, Fiera Properties’ chief operating office and co-manager of the firm’s CORE fund. Underlying the investment strategy, he added, is the steady influx of new arrivals to Canada’s biggest city: an average of 100,000 new people every year and about 37,000 new housing starts annually. Municipalities in the GTA are struggling to keep pace with the growth and the strain on infrastructure such as roads, sewers and utilities and welcoming intensification to pay its bills. Fiera is touting “high mid-teen returns” which is attracting both institutional capital and private high net worth capital,” said Cuthbert. A common theme for investors in today’s ultra-low interest rate environment is the search for yield, something that firms such as Fiera are capitalizing on. “Yes it is yield, but the truth is that commercial real estate has become a legitimate asset class within a diversified portfolio and it didn’t used to be. Cuthbert sees the investment prospects of the GTA fund starting with the value add repositioning of existing properties such as an old industrial building, upgrading it and increasing the rent revenue as part of the growing live, work, play theme. “In general you are looking at buildings that have been undercapitalized, so they are probably in private hands, the family has not reinvested, they are taking all the rents out, things are starting to fall apart and they don’t want to reinvest in it. At the other end of the spectrum, Fiera wants to invest in ground up development of under-utilized sites. Fiera sees its role ultimately as the backer of six to eight development projects with about $70 million in equity at the end of the year when the fund closes. That investment capital will be boosted by debt leverage of between 65% to 70%. Filling the development funnel will be a partnering strategy with established developers who are project-rich but funding challenge. The lure for developers, besides easier access to capital, is better financing terms through Fiera than developers would secure on their own, the executive added. Cuthbert noted that his firm targeted the GTA initially because the growth there is the strongest of any big city in the country, but said that Vancouver and Montreal are potential targets as well. Fiera also announced the hiring of Blair McCreadie as senior vice-president and fund manager. A 25-year industry veteran, he will be responsible for co-managing and growing the Fiera Properties CORE Fund. He was recently head of Canadian real estate at Standard Life, prior to its acquisition by Manulife Financial Corp. last year. 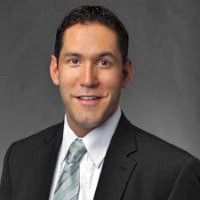 As well, William Secnik has joined Fiera Properties as vice-president, investments and will source and execute transactions for Fiera Properties’ investment funds. Will’s experience of more than 20 years includes acquisitions, financing, repositionings and dispositions on behalf of a cross-section of investment vehicles. He was recent managing director and senior portfolio director of real estate with Manulife Real Estate. Fiera Properties currently has $1.7 billion of assets under management, made up of the Fiera Properties CORE Fund, the Fiera Properties GTA Opportunity Fund and its segregated accounts. The post GTA boom behind new Fiera Properties fund appeared first on Real Estate News Exchange (RENX). Modern U.S. presidents are often measured by how much they can accomplish in their first 100 days in office. By that yardstick, the performance of Mainstreet Health Investments (HLP.U-T) since its initial public offering in June looks pretty good. 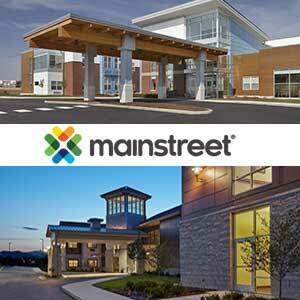 “We don’t sit still long,” said Scott White, Mainstreet’s president. The U.S.-based, Canadian-listed real estate company recently announced a series of deals to acquire holdings in seven seniors housing and care properties in the U.S. and Canada totaling 739 beds and suites as well as to invest in five mezzanine loans for a total of US$152 million. As well, it has reached an agreement for the termination of the company’s existing asset management agreement and the internalization of management. “We announced this transaction 110 days after the IPO,” said the Indiana-based Scott. As well, the company raised US$78 in capital to support the acquisition. Mainstreet has been busy over the past year, during which it assembled a portfolio of 24 properties which it took to market in June with its successful IPO, raising US$95-million in its IPO. The Mainstreet venture represents the second iteration of a previously successful strategy for the executives behind the company, explained its president. In 2012 the same management group took a portfolio of assets public in Canada under the name HealthLease Properties. Unlike major competitors such as Chartwell Retirement Residences and Revera Inc., Mainstreet does not employ the owner-operator model, instead opting to own the real estate with a select group of operators. Mainstreet does not have the size of a number of U.S. healthcare players such as Welltower Inc., Ventas REIT and Omega Healthcare Investors Inc. That may be an advantage, however, added Scott. “We are a small company, they are a small team. We got to know the owner there, we are keeping him on as an operator and we are going to help him fund the growth of the company through future development. The public Mainstreet has a development agreement that allows it to see every development deal and it has the right to fund in part development in any project it likes. Asked how quickly Mainstreet can grow its asset base, the president used the prior company’s experience as a measuring stick. Unlike those aforementioned U.S. presidents, Mainstreet has done a pretty good job keeping its promises to shareholders since its IPO, Scott said. “We committed to investors at the IPO that we will internalize as soon as it made sense financially in terms of the size of the offering. The post Mainstreet Health Investments keeps its IPO promises appeared first on Real Estate News Exchange (RENX). Condominium construction has dominated the residential development space for a number of years now. This was primarily due to the demand for the condominium product and due to the fact that the demand almost ensured that an entire condominium project would be pre-sold prior to the construction commencing. For many developers condominium development meant that the developer could put less equity into a project and selling off the individual units to earn a large and quick return on their equity very quickly. This represented a shift from holding onto the real estate for lengthy periods to generate a return on their equity over a longer time frame. Historically, the average sized condominium unit sold at prices that were less than the cost to buy a single family home or semi-detached home. For many first time home buyers they could purchase these units at affordable prices and still feel like they were involved in the ownership of real estate. For most new developments, the buyer could delay such a large purchase since timing for delivery of the finished product might occur between 12 to 24 months after they entered into the purchase and sale agreement. The buyer could then delay the purchase and focus on saving additional equity for the down payment and still have real property to look forward to when they were ready to move into the unit. More recently though, there has been a gradual change in the condominium market. With the change and increasing difficulty of obtaining a mortgage in the single family financing market, potential buyers are having more and more difficulty obtaining a mortgage. The average buyer is required to save more capital for the down payment of the property, which can take longer. With the single family mortgage requirements being more difficult, qualification becomes harder and has impeded the first time entrant. With these difficulties, the level of pre-sold units can drop and delivery of the condominium project could take longer with more unsold units being held by the developer. Some of these factors have lead to some recent construction of purpose built apartment buildings. There has not been a significant boom in this area of housing in a long time remaining relatively dormant in major urban centres while the condominium market has excelled. Any form of rent control only acts to further impede purpose built rental units and therefore the lack of new construction has most developers preferring to continue to target the condominium market. Some smaller rural areas across the country have seen new units developed, but the buildings are generally smaller in size and do not fill the immediate need for demand in the area. However this trend is slowly changing. More and more developers are looking at purpose built apartment buildings since the condominium market does not represent as quick of an exit as it once did. Most municipalities have increased the development costs associated with building condominium projects, while corresponding land costs have also increased for developers since most condominium projects require well located parcels of land close to major thoroughfares and Municipal transit in order to attract purchasers. Purpose built rentals do not necessarily require this and can be built in less central locations and a little off the main through fares. Renters will target good quality rental buildings that are clean, are environmentally friendly and have good amenities to fit their profile. Not every renter wants to be located in the downtown core on a major thoroughfare which is generally where condominiums are. In the past, developers saw the impediment to purpose built rental buildings in the amount of equity required, the breakeven rental rates required and the level of financing available to construct the buildings. With condominium construction, the equity requirements were generally less and financing levels highly available depending on the total pre-sold units for the project. With pre-sales not as robust as they were previously, the level of financing available has dropped and many of the projects are now looking at a switch from condominium to a purpose built rental property. With home affordability dropping as prices continue to increase, more and more potential buyers are shifting back to the rental market putting downward pressure on vacancy rates and upward pressure on rental rates. As rental rates increase, this will make it more attractive to build a purpose built rental property and maybe even start another boom in this space. The post Time to build purpose built rental units? appeared first on Real Estate News Exchange (RENX). Crown Realty Partners has grown from five employees 15 years ago to 101 today, and managing partner Les Miller says it’s people that have driven the company’s prosperity. 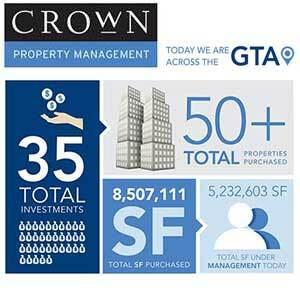 Of course the above market returns that Crown has earned for itself and its investment partners, prompting return business, has also enabled the commercial real estate firm to purchase more than 50 properties encompassing 8.51 million square feet and valued at more than $2 billion across the Greater Toronto Area (GTA) since inception. Today it manages 5.23 million square feet of space occupied by 560 tenants and some 16,500 employees. Crown primarily invested in office buildings that needed physical capital repairs in its early days. But now service improvements have become a much bigger part of what it does with acquisitions so that its buildings better meet the needs of tenants. Sustainability and environmentally friendly features have grown in prominence just as the size and complexity of projects that Crown has become involved with has increased. 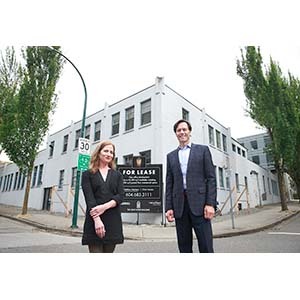 The company has converted warehouse to office space and gutted and torn down buildings as part of redevelopments to meet the rising demands of what tenants want in their workplaces. While there have been ebbs and flows in the GTA office market over the past 15 years, demand has generally kept up with all of the new construction that’s been taking place. Crown has evolved to become an important player in this environment. “We’ve gone into class-A complexes in the suburbs, which I don’t think Crown would have contemplated in the past,” said Crown leasing and marketing partner Scott Watson, noting the company’s investments in Markham. The condominium boom that’s taken over downtown Toronto has also benefitted office building owners, as office space is being converted to condos or razed to make way for multi-residential projects, forcing office tenants to seek new space. Crown’s rebranding of 901 King St. W.
Crown took advantage of this with its property at 901 King St. W., a 250,000-square-foot, eight-storey class-A building acquired in 2011 in partnership with another Canadian investment fund. The building was strategically repositioned and branded after physical improvements and additional services and amenities were introduced. A new tenant signed on for 20,000 square feet within 90 days of closing and an additional 110,000 square feet were leased within the first year. The building is now 98-per cent occupied and attracting creative businesses to its Liberty Village area location. Crown’s newest purchase, announced on Wednesday, is a four-storey, 146,000-square-foot office property at 2233 Argentia Rd. in the Meadowvale Business Park that was acquired from a client on behalf of its Crown Realty III Limited Partnership fund. Crown has managed the property for the past five years and in 2014 it earned LEED Gold certification, The Outstanding Building of the Year (TOBY) Award at BOMEX (in the 100,000- to 249,999-square-foot category) and the National Outstanding Building of the Year Award in the same category. Major tenants including Brink’s, Expedia, Intertek, Regus and SunOpta have relocated to the building in the past three years, attracted by abundant on-site parking, a café, a common tenant meeting room and plentiful storage. Crown plans to renovate the lobby to provide new collaborative zones for tenants to work from. Crown also announced this week that it closed on the disposition of Britannia Common at 220-262 Britannia Rd. E. and Matheson Woods at 391-415 Matheson Blvd. E. in Mississauga. These properties, comprised of 13 single-tenant office buildings, were acquired by Crown on behalf of its Crown Realty II Limited Partnership fund, which is now fully divested with the exception of two assets. “As we look to the future, you’ll start to see us look outside the Toronto marketplace and into areas like Ottawa and Kitchener-Waterloo to try to extract value out of those markets and give tenancies the same things as we have been in Toronto that have worked very successfully,” said Watson. Forecasting Crown’s next 15 years, Miller says the firm will likely expand on its primary office base and add a wider range of property types to its portfolio. He sees it as a natural extension of what Crown has done through its first decade-and-a-half. The post Crown marks 15 years in the GTA CRE market appeared first on Real Estate News Exchange (RENX). Would you like a $1.7M property taxes refund? If your MPAC assessment doesn’t have you seeing red, maybe it should. You may recall a few posts back I coined the phrase “red building.” This label applies to any building that, due to its age, operational inefficiency or lack of amenities common to newer real estate, just doesn’t have the market appeal it once did, and is going to be out bid in the marketplace by new green construction. These negatives can push a property into the domain of C-class space. There likely is no return from this abyss without substantial reinvestment, provided the cost of that reinvestment doesn’t exceed the potential return. Now consider this concept, and any red buildings in your portfolio, in the context of the commercial property assessment notices that will be hitting mailboxes on Oct. 18. I wrote last time about the need to take a close look at that notice when it arrives to ensure the assessment of your property is accurate and fair versus comparable properties in your market. But what if you have a property that is, for one reason or another, losing or has lost market appeal? Does the assessment adequately reflect that? A building you can’t lease, or can only lease by cutting your rates below that of your competition, represents a loss of revenue and market value. The property may just be less valuable than it once was, or less than the newer competition. Your assessment should reflect that, but you may have to stand up and take action to get noticed by the assessor. Take, for example, one property I’ve been involved with that’s had trouble leasing vacant space since a key tenant left. The reason? It’s too far from public transit for most prospective tenants. These days, people want to commute without their car and employers want or demand space that’s within reasonable walking distance of a transit stop. “Reasonable” is typically five to seven minutes, tops. On this basis alone, I would argue the owner of this building has grounds to appeal if a commercial property assessment doesn’t take this negative point into account. The jury is still out on that building, but on another file, appealing an assessment due to red building factors had a huge impact. How huge? We got this property’s assessed value cut in half, by $20 million. This drastically cut the property’s tax burden with the local municipality. The owner got a retroactive reduction in his property taxes – a $1.7 million refund cheque. What are this building’s red factors? Yesterday’s innovation became today’s albatross. The chief culprit is the “state-of-the-art” ductless heat pump system installed when the building was constructed 40 years ago. The building is still operational and usable, but the growing age and inefficiency of this equipment impacted its cost of operation and market value. The building was designed in such a way that replacing this system would require quite costly renovation. On this basis we were able to successfully appeal the original assessment. Appealing the assessment of a red building can result in a silver lining in an otherwise grey cloud for the property owner. But it bears noting that a growing stock of red buildings in Canada’s commercial real estate market is bad news for municipal coffers. Lost value and lower assessments adds instability to the municipal tax base. City hall has to recoup this lost revenue in some way, and the key source of municipal revenue is the remaining taxpayers. Which means the ultimate solution for a red building is its redevelopment as a higher-value green property, rather than settling for a downward spiral of diminishing returns. Maybe this is a good place to invest a refund cheque should you achieve a successful assessment appeal. The post Would you like a $1.7M property taxes refund? appeared first on Real Estate News Exchange (RENX). It’s become an institution across Canada for many new residential developments to include public art components. These Community Amenity Contributions or CACs, mandated by the city, often lead to extraordinary permanent art like the rotating exhibit outside the Shangri-La Hotel in Vancouver and the permanent collection at the Fairmont Pacific Rim. There’s also Cedric Bomford’s Substation Pavilion outside the Meccanica condominium. And in Toronto, Douglas Coupland’s red Canoe at CityPlace and the James Turrell Straight Flush installation at the Bay-Adelaide Centre. These city mandated public art installations draw visitors and engage passersby. But less common is public art in new industrial developments. Vancouver’s PC Urban is setting out to change that. They’ve voluntarily commissioned two public installations for their upcoming industrial buildings and in doing so, have shaken the complacent development industry and called into question the difference between having to create the art and wanting to. The result will be two public art installations transforming industrial buildings into something memorable and engaging. Something that will make people stop and think. All developers want to deliver an experience that engages people through buildings. They don’t want to create buildings that are sterile, antiseptic and forgettable. But PC Urban goes so far as to believe it’s their “responsibility” to the growth and future of the city to create public spaces that are destinations, places you want to spend time. Boids, Ashby’s 3D metal chevrons resembling birds in flight, will transform the non-descript concrete wall at IntraUrban into something vibrant and cool. Made from stainless steel sheet metal, the birds will reflect morning sunlight, cascade rainwater and cast shadows differently during the day. It will be a constantly changing view, one designed to make people think about flight as a metaphor for the small business owners inhabiting the space. “It captures the tenuousness of the entrepreneurial experience, as well as the exuberance of freedom,” says Ashby. 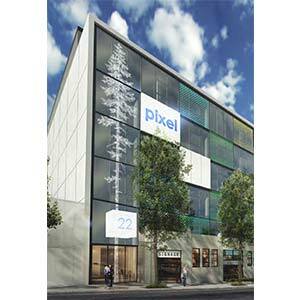 Rebecca Bayer, an artist who works on public art installations in Vancouver, will be creating Giant, a massive, snow-white, pixilated, half-tone tree, to be visible on the window of the new Lightworks building. It will not only reference the giant Douglas Firs that used to dominate this area, but it will also be the height of a 75 year old tree, the same age as the existing building. If PC Urban can install public art on a little industrial building on Marine Drive, every developer can do it. It creates community and adds to the experience of a vibrant urban space. Many developers are passionate investors in art. Vancouver’s Audain family and Bob Rennie are just two examples. But according to Ballard, it’s unprecedented for a Vancouver developer to voluntarily invest in public art. It’s time to change that and to start embracing art as an essential element in building design. The post Is there room for public art in industrial buildings? appeared first on Real Estate News Exchange (RENX). Building Owners and Managers Association (BOMA) of Canada paid tribute to the winners of its national awards on Sept. 22 as part of its BOMEX 2016 conference and exhibition at the Delta Regina in Saskatchewan’s capital. The Outstanding Building of the Year (TOBY) Awards recognize quality in commercial real estate buildings and excellence in building management. Judging is based on: building standards; community impact; tenant relations; energy conservation; environmental, regulatory and sustainability practices; emergency preparedness; security standards; and training of building personnel. All entrants must be BOMA BEST certified. Competition begins at the 11 BOMA Canada local associations, with qualified entries advancing to the national level. Each BOMA local association may submit only one building in each award category to the national competition. Under 100,000 Square Feet: 3115 Harvester Road, located at 3115 Harvester Rd. in Burlington, Ont., owned by Sun Life Canadian Real Estate Fund, and managed by Bentall Kennedy (Canada) LP. 100,000 to 249,999 Square Feet: 155 University Avenue, located at 155 University Ave. in Toronto, owned by Great-West Life Assurance Company and London Life Insurance Company, and managed by GWL Realty Advisors Inc.
250,000 to 499,999 Square Feet: Intact Place, located at 311/321 6th Ave. SW in Calgary, owned by British Columbia Investment Management Corporation, and managed by Bentall Kennedy (Canada) LP. 500,000 to One Million Square Feet: London City Centre, located at 275 Dundas St. and 380 Wellington St. in London, Ont., owned by Dream Office REIT, and managed by Dream Office Management Corporation. Over One Million Square Feet: Toronto-Dominion Centre, located at TD Bank Tower (66 Wellington St. W.), TD North Tower (77 King St. W.), TD West Tower (100 Wellington St. W.), TD South Tower (79 Wellington St. W.) and Ernst & Young Tower (222 Bay St. 95 Wellington St. W.) in Toronto, owned by Cadillac Fairview Corporation Ltd. and OPB (TDC) Inc., and managed by Cadillac Fairview Corporation Ltd.
Corporate Facility: Air Terminal Building, located at 1000 Airport Rd. in Edmonton, and owned and managed by Edmonton Airports. Historical Building: Triffo Hall, located at 11316-89 Ave. in Edmonton, and owned and managed by University of Alberta. Industrial Office Building: Kennedy Matheson Industrial Complex, located at 550/570 Matheson Blvd. E. and 5655 Kennedy Rd. in Mississauga, Ont., owned by 3883281 Canada Inc., and managed by Menkes Property Management Services Ltd.
Medical Office Building: East Calgary Health Centre, located at 4715 8th Ave. SE in Calgary, and owned and managed by Cadillac Fairview Corporation Ltd.
Retail Building: CF Toronto Eaton Centre, located at 220 Yonge St. in Toronto, and owned and managed by Cadillac Fairview Corporation Ltd. The Earth Awards are BOMA Canada’s recognition of excellence in resource preservation and environmentally sound commercial building management. They’re presented to buildings that have made significant efforts to address environmental issues faced by both older and newer buildings. All entrants must be BOMA BEST certified. Light Industrial: London Life RAM Centre, located at 670 Sovereign Rd. in London, owned by London Life Insurance Company, and managed by GWL Realty Advisors Inc. and London Life Insurance Company. Multi-unit Residential Building: Carré Queen Mary, located at 5150-5165 Chemin Queen Mary in Montreal, owned by FCHT Holdings (Quebec) Corporation Inc., and managed by First Capital Realty Management Services LP. Office Building: 25 York Street, located at 25 York St. in Toronto, owned by Menkes Union Tower Inc., and managed by Menkes Property Management Services Ltd.
Retail Building: Rockland Centre, located at 2305 Chemin Rockland in Ville Mont-Royal, Que., and owned and managed by FPI Cominar. BOMA Canada’s Pinnacle Awards recognize organizations and industry service providers who represent a standard of excellence to which all BOMA members and their employees should aspire. Innovation, teamwork, outstanding service and commitment to clients are taken into consideration when choosing recipients. Above and Beyond: Paladin Security Group Ltd., located at 150-11634 142nd St. NW in Edmonton, Alta. Customer Service: Oxford Properties Group, located at 1 University Ave. in Toronto. Innovation: Triovest Realty Advisors Inc. and Refined Risk, located at 40 University Ave. in Toronto. 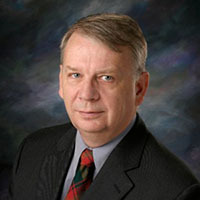 Philip Jago of Ottawa, the recently retired buildings division director in Natural Resources Canada’s office of energy efficiency, received BOMA Canada’s Chairman’s Award. This honour is bestowed for longstanding leadership and outstanding commitment to the success of BOMA in Canada and the commercial real estate industry. Constance Davis of Calgary, property manager for Strategic Group, received the BOMI Canada Vyetta Sunderland Scholarship Award. It was established by BOMI Canada in recognition of its former chair Vyetta Sunderland and her focus on excellence and lifelong commitment to education. The $2,000 scholarship is awarded to a Canadian student in pursuit of advancing his or her property management career or entering the property management field. Winners of the 2016 BOMA Canada National Awards may be eligible to compete in the BOMA International TOBY Awards at the BOMA International Building Conference and Expo from June 24 to 27, 2017 at the Music City Center in Nashville, Tenn.
BOMEX 2017 will take place in Toronto next Sept. 27 and 28. 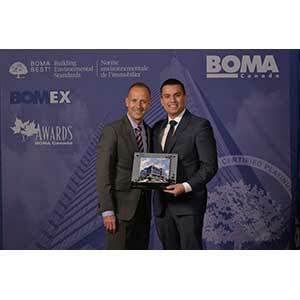 The post Canada’s top buildings honoured by BOMA Canada appeared first on Real Estate News Exchange (RENX). The post JLL forms partnerships with regional CRE firms appeared first on Real Estate News Exchange (RENX). There’s never been a better moment in the history of commercial real estate in Calgary, or anywhere in the world. And the lessons we can learn from the Calgary marketplace apply regardless of where you live, or even what industry you’re in. This sentence sets the context for this three part article about how technology is impacting the real estate industry. 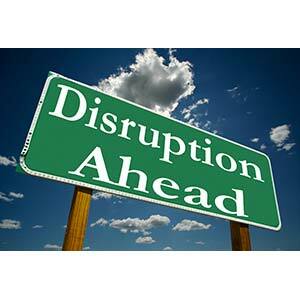 Part one describes key disrupters and ended with description of what Millennials are doing? In terms of our commercial real estate case-study, I think it means nothing less than the death of the long-term inflexible office lease. Everyone in office sales or leasing should really think about that. Everything you know about marketing your business is based on the idea that you are selling five-year legal contracts that bind the buyer to a space commitment in a very inflexible way for an extended period of time. The Millennials want none of that. It’s going to change the world of office-leasing. In fact, it’s going to cause all kinds of disruption. Now let’s look at industrial real estate, as another example of the massive opportunities in store. We’ve all heard of “The Industrial Revolution”, and anyone with even a vague memory of high school history class remembers how much of a game changer that was. People started going to work in factories. The 9-5 work day was born. Mass production meant mass consumption. Short vacations. Slave labour. The creation of the entire concept of upward mobility. Child labour. The invention of a middle class. The invention of the working poor. The need for large industrial buildings. The need to move goods and services all over the world on trains and boats and airplanes: most of which had not been invented yet. Well, call me crazy but I think new technologies are pushing us into another industrial revolution and that the impact on commercial real estate, and the world, will be just as big if not bigger. For example, the Blade is a car that goes from 0-60 in about 2.5 seconds. That’s faster than a McLaren P1 supercar. But it isn’t made in a massive factory with specialized equipment for producing supercars. It’s printed on a 3D printer. 3D printing technology allows small startups to enter the auto-manufacturing industry without all of the typical barriers involved. It is estimated that the cost of developing a traditional car factory is US $1 billion, while the cost of a “micro factory” to produce these cars would cost roughly $20 million. So emerging tech, in the form of 3D printers, has completely altered the auto-manufacturing landscape. Here’s another example. The UN estimates that by 2030, approximately 3 billion people will require housing, and 3D printers are being considered as a possible solution to that. A Chinese company, WinSun, has a 3D printer that printed 10 houses in 24 hours last year. The process saves between 30-60% of construction waste, decreases production time by 50-70%, and labour costs between 50-80%. That’s the entire residential construction industry up-ended. Wedding rings can be customized to the finger, at far lower cost than traditional wedding rings. This is now a common practice in jewelry making. 3D printers can make steaks and sausages by replicating stem cells taken from live donor animals, which is more sustainable, ethical, and practical. This 3D printing stuff – most people think it’s sort of fun and cute and wacky. But really, it’s the next industrial revolution. You won’t need a factory to sew those t-shirts and you won’t need people to pack them up and you won’t need to ship them to the airport and then across the world to warehouses that hold on to them for a little while until it’s time to ship them to the retail store where someone unpacks the boxes and hangs them up on hangers until consumers walk into the store and buy the sweater and pay for the sweater and then go back home. You need NONE OF THAT. You need a piece of programming that consumers download so they can print your product on the 3D printer in their kitchen. Here’s a bust of me, done on a 3D printer in my friend, Douglas Coupland’s dining room. He scanned me with his cell phone. It took about 30 minutes to print. It’s made of cornstarch. The printer cost less than $500. So it’s a toy version, for now, of what is being used in the real-world, right now, to make all kinds of things happen. Admittedly the consumer versions of this technology are at the dot-matrix-printer stage. But give it a year. Soon we will all have a rudimentary 3D printer in our homes. And they won’t be rudimentary for long. Read part three of this article in next week’s edition of Property Biz Canada on September 29, 2106. DAVID ALLISON advises clients across Canada and the USA about how to build a great brand and tell a great story. He has worked on hundreds of commercial, residential, industrial and recreational real estate projects around the world. He was the national VP Marketing for a Canadian luxury real estate brokerage. He was VP Marketing for a global real-estate project-marketing operation with offices in 70+ countries around the world. He’s written three books on real estate development marketing, won numerous industry awards, taught masters and undergraduate university marketing classes, and served on the board of the Urban Development Institute Pacific Region for 5 years. He is a frequent speaker, writes for industry publications, and in 2015 was named Editor-at-large by the Urban Development Institute. The post Part two: Technology is going to change everything appeared first on Real Estate News Exchange (RENX).